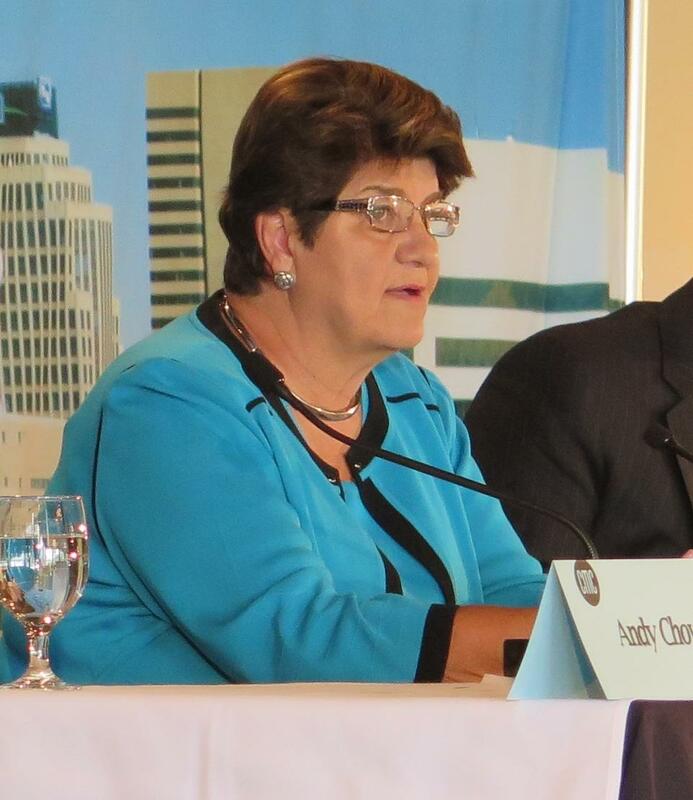 Sen. Peggy Lehner (R-Kettering) at the Columbus Metropolitan Club forum discusses state report card grades. The Ohio Department of Education plans to release its state school report cards Thursday morning and state leaders are telling parents, students and educators to brace themselves for significantly lower than usual grades. The state has raised the bar on what qualifies as being proficient and how many students need to reach that standard to get a good report card grade. Schools that are used to getting A’s and B’s could see their grades drop to D’s and even F’s. Republican Sen. Peggy Lehner of Kettering, who chairs the Senate Education Committee, says the high school graduation test used to test students at an eighth grade level. “We’re done with that. We’re raising our standards so that when we tell you you’re at an eighth grade level, you’re at an eighth grade level. When we tell you that you’ve graduated from high school, you have the skills to graduate from high school,” Lehner said. Lehner pointed to Massachusetts as an example of a state that’s done this and has seen positive results in the long term.